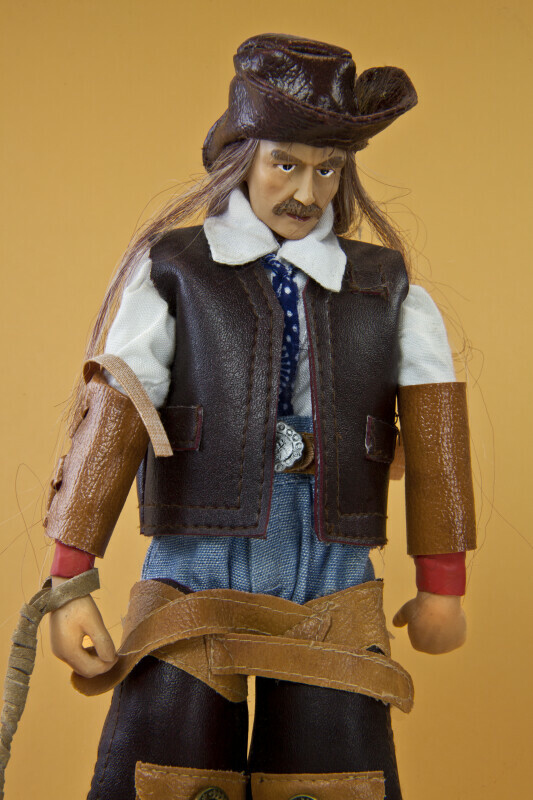 Ceramic cowboy figure wearing an intricate vest, arm cuffs, chaps and hat made from leather. He has a white cotton shirt and blue jeans. His belt has a large silver buckle. His face is hand painted, and he has a mustache. He is holding a rope lariat around his right wrist. His saddle is ceramic with leather fringe. The figure stands 11 inches (28 cm) tall.